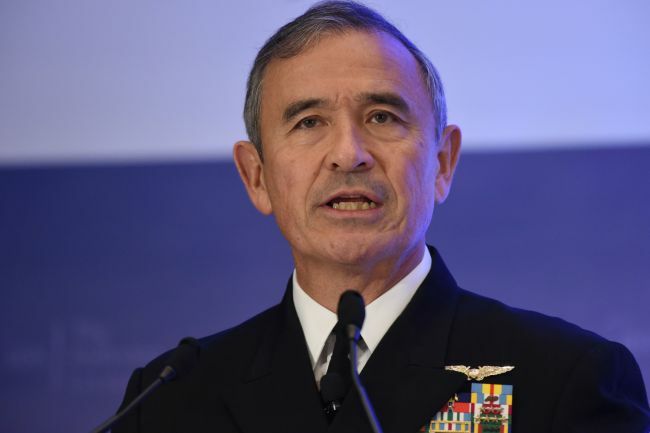 Harry Harris, the new United States ambassador to South Korea, is scheduled to arrive here this weekend to assume his position, his embassy said Friday. He plans to issue a brief statement at Incheon International Airport at 6 p.m. on Saturday, which will be livestreamed on US Embassy Seoul‘s Facebook page, https://www.facebook.com/usembassyseoul, it added. The retired admiral, who served as commander of American forces in the Asia-Pacific region, is filling the post that had been vacant since January last year. The embassy said his mission in Korea starts “at a pivotal time” following the historic summit between President Donald Trump and North Korean leader Kim Jong-un in Singapore last month. The allies are seeking to “achieve the final, fully verified denuclearization of North Korea and the promotion of peace, prosperity, and security on the Korean Peninsula,” it said. Earlier this week, Harris conveyed a video message to South Koreans via the embassy’s Twitter account. He stressed the importance of the Seoul-Washington ties not just for Northeast Asia but globally.